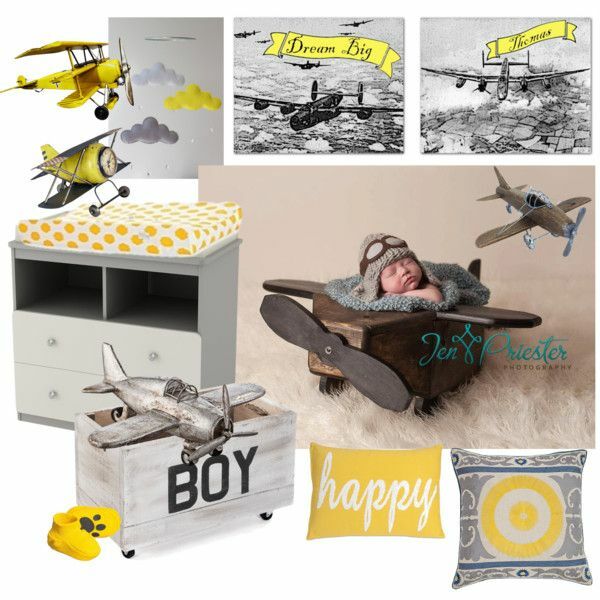 Another great color combination for a Nursery!Yellow and Grey! This unique wall art, SET OF 2 Art prints, matches perfect and is customized with the name of your little boy, which it will sure make the room special! This Airplane SET OF 2 Art Prints, is a reproduction of my Original Artwork for Children Room Decor. 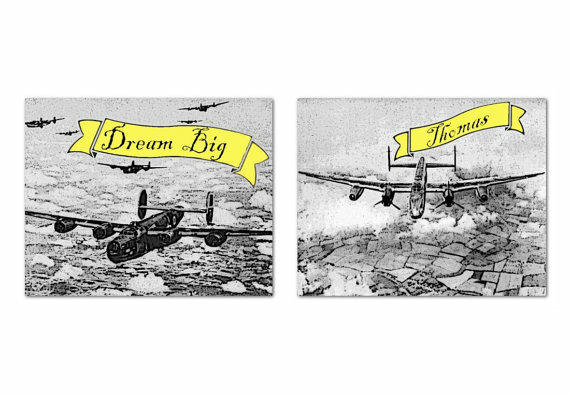 This adorable airplane SET OF 2 Art Prints (each 8''x10''), customized with your child's name or lettering of your choice, will travel your little one's imagination all around the world listening bedtime stories from you!